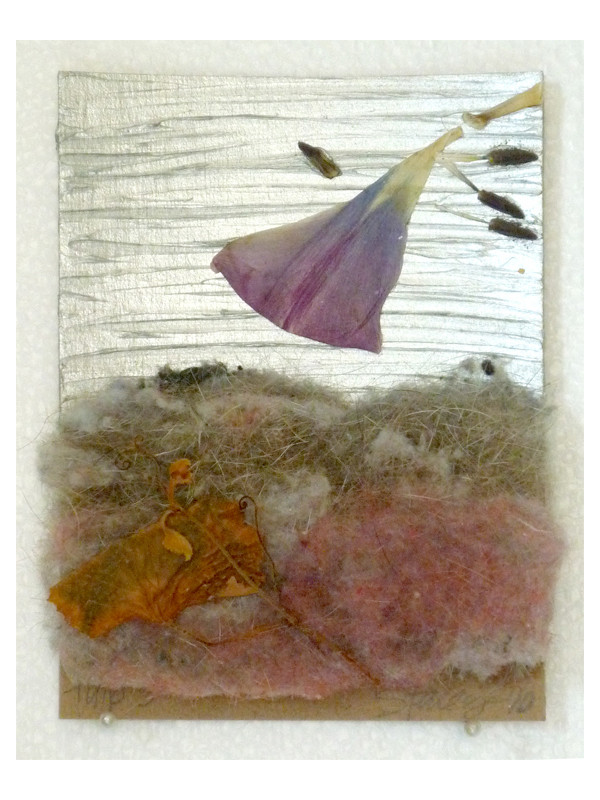 Lintworks 5 - 2010 — Stacey B. 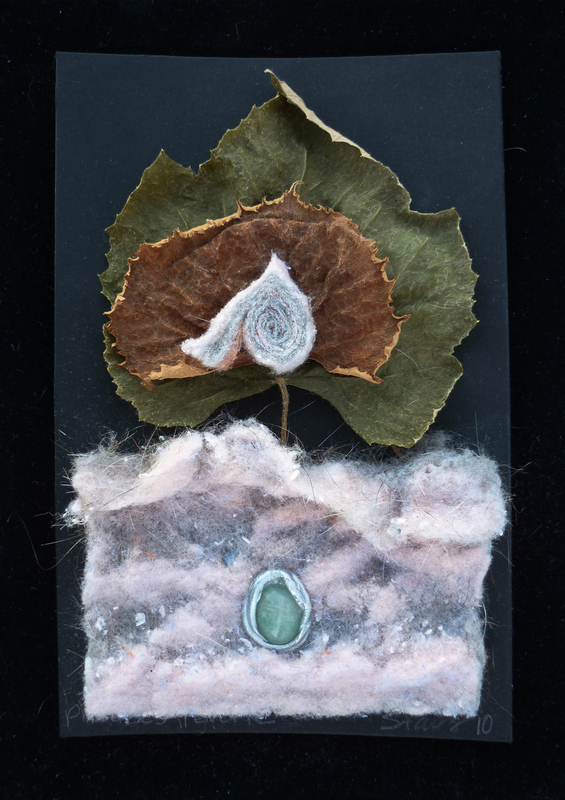 Created between June and December 2010. 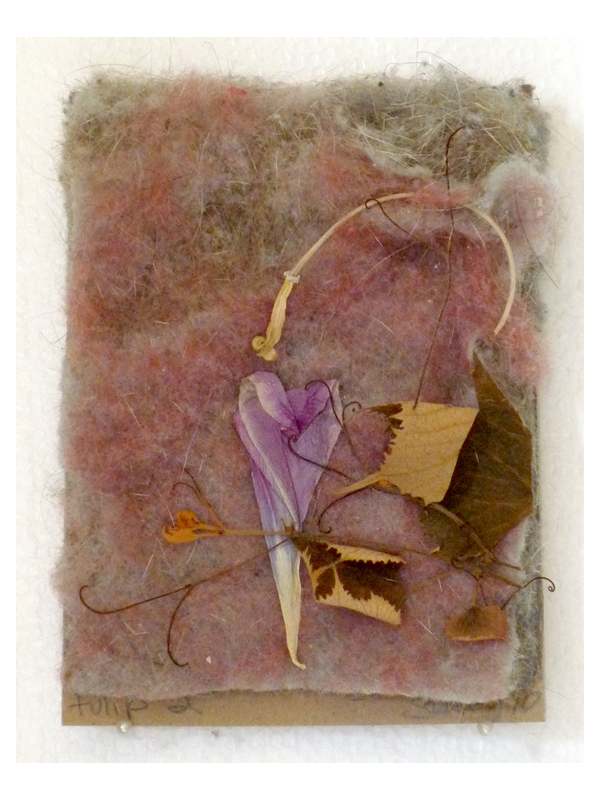 This is a diverse selection of works focused on combinations of lint, dried plants, and acrylic paint. 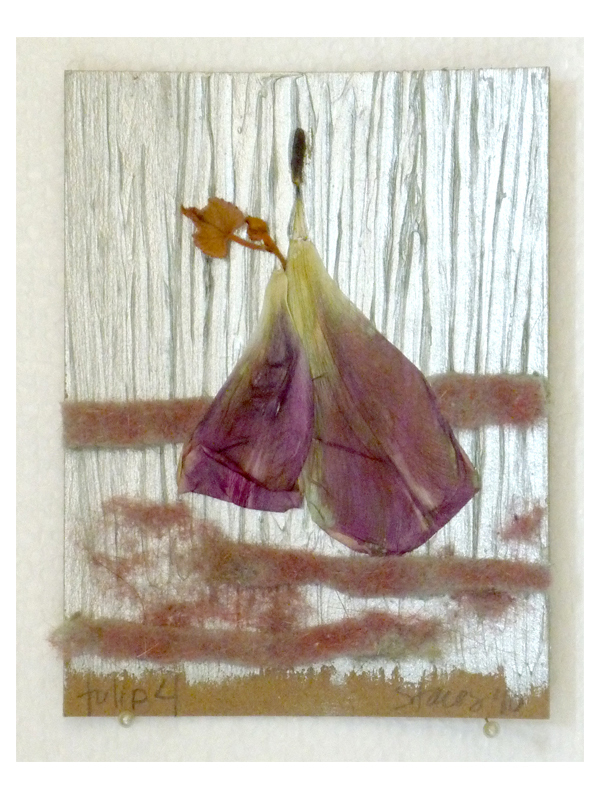 laundry lint, dried grape vines and leaves, pressed tulip on cardboard - 4.25" x 6"
laundry lint, dried pressed tulip, acrylic paint on cardboard - 4.25" x 6"
laundry lint, dried pressed tulip, dried grape leaf, acrylic paint on cardboard - 4.25" x 6"
laundry lint, dried orchid on cardboard - 4.25" x 6"
laundry lint, acrylic paint, dried grape leaf, graphite on cardboard - 6.5" x 9"
dried grape leaves & vines, acrylic paint, dried moth, gold foil on cardboard - 6.5" x 9"
laundry lint, dried grape leaves, acrylic paint, polished quartz on board - 5" x 8"
laundry lint, dried leaves, acrylic paint, polished quartz on paper - 6.25" x 8"